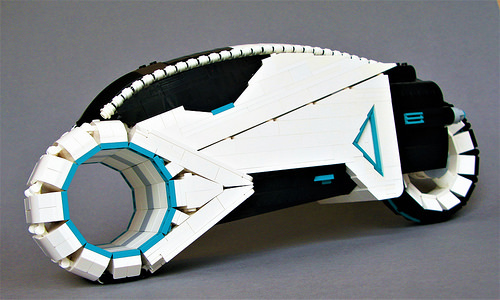 Like the upcoming LEGO Ideas Light Cycles set, Joe Perez drew inspiration from Tron: Legacy and constructed a beautifully contoured LEGO rendition of the vintage Light Cycle from the original Tron. Great care for the detail and forms of the classic vehicle is evident in his model, and the addition of teal highlights is a fine choice. 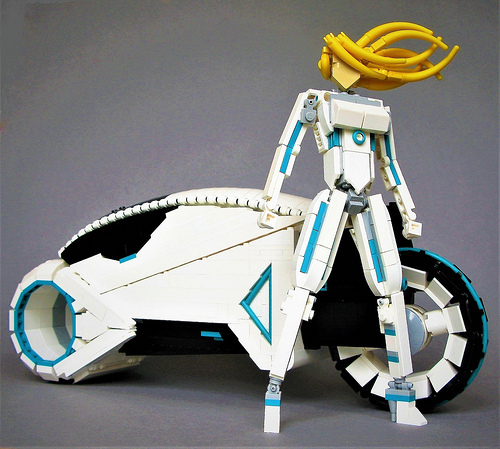 Joe even created a rider for his Light Cycle, posing confidently with awesome wind-swept hair techniques.